SET OF ALL 5 Highly detailed posters measure 18" x 24" and laminated on both sides in heavy plastic. They are beautifully reproduced from the original antique versions, maintaining all the detail of the drawings and the texture of the cream colored paper. All of the various structures are drawn and labeled in great detail. 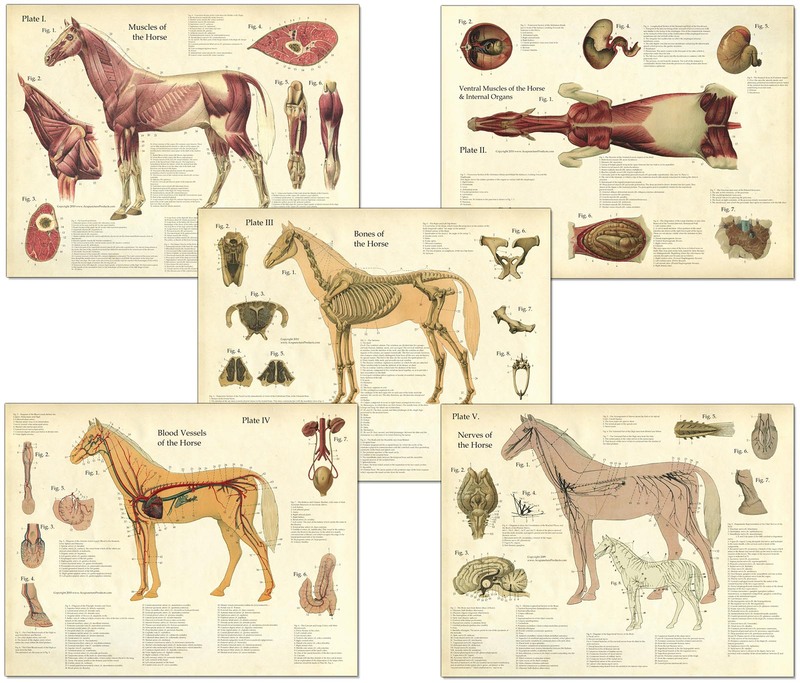 These make great educational decor for your office or tack room. Posters are excellent visual aids to have on hand for seminars and talks.